Visit one of the best paint stores in town! Have you been trying to find painting supplies in the Houston area? When it comes to reliable paint stores in the Houston area, there's only one to trust. Murphy Bros Paint Co Inc provides the finest in industrial paint colors, wood coatings, paint thinner, and more! Come to Murphy Bros. Paint! Since 1949, Murphy Bros. has stood out among paint stores in the Houston area with our dedication to our customers. Whether you're looking for paint thinner or wood coatings, our dedicated team of employees is ready to help you find what you are looking for. Stop by our store today! At Murphy Bros. Paint, we realize the importance of the decisions of our customers regarding which paint or stain they require for their decorating, maintenance, or renovation project. The staff at Murphy Bros. paint stores are fully trained and ready to assist you in color selection or custom tinting, selection of proper sundries and the determination of which coating will best complete your project. Visit us today and ask about our painting supplies! Murphy Bros. Paint Co. is the leading independent Paint and Specialty Coatings retailer and wholesaler in the South Eastern Texas area, and we are committed to our customers. Our customer service commitment is evidenced by our 7 locations spanning Houston, Corpus Christi, San Antonio, Beaumont Texas, and Lake Charles, Louisiana which is just over the state line. 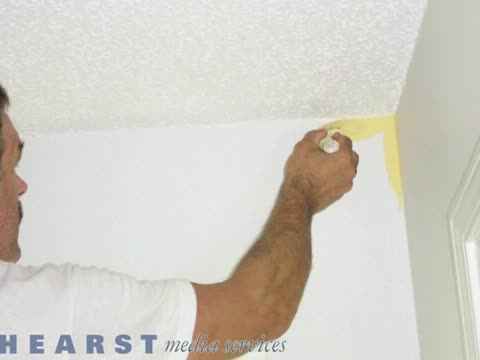 Whether you are a DIYer or a contractor looking for superior painting supplies, we have got you covered. You just name it, and we have it! If we don't, we can source it for you! Our products include a wide range of paint colors, paint thinners, wood coatings, paint solvents, and more. We also have industrial paint supplies available. If you are in Houston and are in need of quality painting supplies, visit our store today! When it comes to paint stores in the Houston area, Murphy Bros Paint Co Inc sets itself apart from the competition by providing the finest in customer service and painting supplies. Whether you're looking for wood coatings for your porch or furniture, or would like to remove paint with paint thinner, our painting supplies experts are here to serve you! Murphy Bros. Paint Co. distributes a great supply of all the paint, paint sundries, paint solvent, paint thinner and accessories you will need. Murphy Bros. proudly sells as well as Pratt and Lambert and Coronado interior and exterior paint, and Pratt and Lambert, Cabot and Old Masters interior and exterior stains. Murphy Bros. has over 3000 residential paint colors and industrial paint colors for you to select from, and our professional color matchers can match any industrial paint colors you might have. Stop in to the store to check out the selection of paint thinner & paint solvent products as well. We Offer a Variety of Wood Coatings! Murphy Bros. paint stores knows the value of having its staff fully trained and familiar with the technical wood coatings which we distribute, and it is our commitment to our wood coatings customers that we will provide the right product for your wood finishing needs and deliver this product on time and on spec. At Murphy Bros. we carry the leading North American wood coatings systems by industry leaders M.L. Campbell, and Coronado. We have consolidated our M.L. Campbell inventories in South Houston to enable faster delivery times for our customers and to be able to provide larger inventories of core product. Murphy Bros. Paint Co. has been serving Texas as has stood out among other paint stores since 1949! Give us a call or visit us today for painting supplies including industrial paint colors and more!